BREAKING NEWS: GEORGE ZIMMERMAN GET SHOT IN THE FACE! George Zimmerman was involved in a shooting incident today in Lake Mary, Florida — and it involved a man he’d had a previous dust-up with just last year, police said. Zimmerman flagged down an officer — saying someone shot at him and his car, said Bianca Gillet, a spokeswoman for the Lake Mary Police Department, at a news conference. 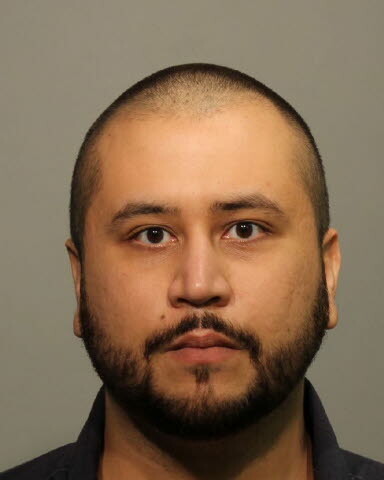 Zimmerman, 31, did not fire his weapon during the road rage incident, police said. Zimmerman’s attorney, Don West, said Zimmerman was driving into a retail center when a car came up behind him, flashing its lights and honking. Zimmerman claimed the other driver yelled at him, West said. When Zimmerman tried to leave, West said, the other driver pulled up and fired a shot through the passenger side window of Zimmerman’s truck. The bullet lodged somewhere in the car, West said. According to West, the other driver fled. Zimmerman had a gun in the car but did not brandish it, according to West. Zimmerman was carrying the gun legally, the attorney said. Police identified the other driver as Matthew Apperson. Gillet said Apperson called 911, saying he was the other person involved and was requesting police to respond to his location.